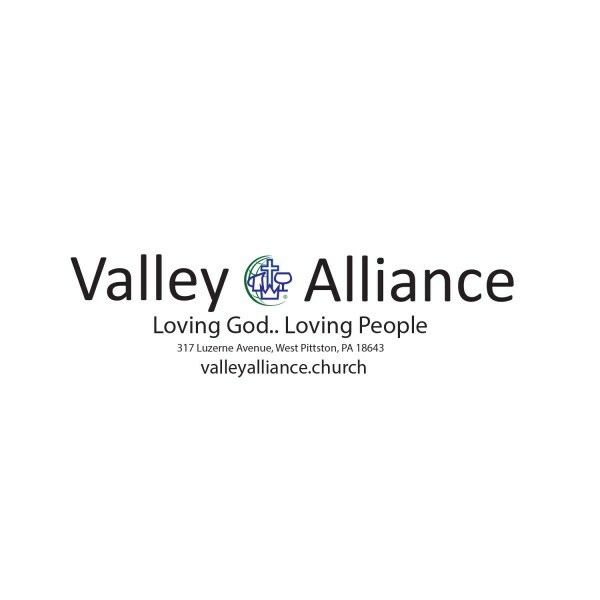 Valley Alliance is not a place, building, or institution. It is part of the Church, which is the body of Christ! We are an imperfect group of people determined to grow in our relationships with both God and each other. It is our understanding that God wants to form Himself in us. Since God is love, He would like us to show that love to all. The sacrificial love Christ demonstrated through His life, death, and resurrection motivates us to share the Gospel with our family, friends, neighbors, and people throughout the world. Two established churches located only a few blocks from each other felt God directing them to merge together to form a new work.. The West Pittston Christian and Missionary Alliance and Lighthouse Fellowship (Non-denominational) held their first service as a combined congregation on June 11, 2017. On August 6, 2017, this newly formed body took on the name Valley Alliance. It is not an every day occurrence to see two churches from different traditions come together as one, but in Christ all things are possible. We believe that we are stronger together and are truly excited for what God has in store for our unified congregation. We are a Christian and Missionary Alliance Church. We believe that Jesus is the Christ, God incarnate. He came in human form to sacrifice Himself, once for all, that we might not perish but have eternal life. This is the bedrock of our belief—the spiritual DNA of The Alliance. Our family tree bears the fruit of the deeper life, Fourfold Gospel, and the “living out” of Alliance core values—all fueling our uncompromising call to “go” wherever and whenever God leads. For our full Statement of Faith, please click here.